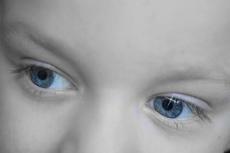 Eye Gaze Tracking Software Can Be Used To Detect Autism. Research published in the April 2016 issue of the Journal of the American Academy of Child and Adolescent Psychiatry (JAACAP) details that eye tracking software can be used to differentiate between children with autism spectrum disorder (ASD) from those without ASD but with other developmental problems (non-ASD). Currently, ASD is detected and diagnosed using subjective methods, such as parent's reports, interviews with the child, and doctor's observations. An objective marker of ASD, which provides a more measurable indication of ASD, could substantially increase the accuracy of clinical diagnosis. Additionally, it could also help parents accept the diagnosis as it is not based solely on the doctor's medical opinion. A group of researchers examined two samples of at-risk patients to determine whether remotely tracking patients' eye gaze could differentiate children between the ages of 3 and 8 who would go on to be diagnosed with ASD versus those without ASD. Their eye's movements were tracked as they focused on social and non-social aspects of both still pictures and dynamic videos. The team hypothesizes that spending more time looking at social targets and less time looking at non-social targets may indicate higher risk of developing ASD. By measuring the time spent focusing on each facet, the results can then be used to create an "Autism Risk Index" to identify ASD cases. The Autism Risk Index shows remarkable accuracy, approximately 80%, when differentiating between children with and without ASD. These results give researches hope that remote eye gaze tracking may provide a simple, inexpensive, and effective means of detecting autism.